A thick, flowing mane of hair is something we all desire. Our hair is one of our greatest assets – it gives us confidence and enhances our appearance. Unfortunately, hair loss (also known medically as alopecia) is a widespread problem and occurs for a number of different reasons. Alopecia is also becoming more common in adults in their early 20s and older. This can be quite embarrassing and can bring down the confidence of a person when hair is lost at a very young age. For some, hair loss occurs because of genetics, and for others, it may be due to hormonal changes in the body. Environmental factors can also play a role. No matter the cause, hair loss is a major concern. This is the most common cause of hair loss and affects millions of people in the United States. The causes for this condition are unknown; however, there may be a genetic reason for it. This condition describes round, bald patches appearing suddenly, most often affecting the scalp and can be emotionally distressing. Alopecia areata may affect any hair-bearing areas of the skin. It may occur at any age, including in childhood, and is considered to be an autoimmune disorder. Like many other health problems, alopecia areata can start after a stressful event. There are numerous causes for scarring alopecia, such as central centrifugal alopecia, lupus, and frontal fibrosing alopecia. There are dozens of conditions, including thyroid disease and anemia, that may cause hair loss. By treating the diseases, hair loss often can be stopped or reversed. Significant hair loss can occur after an illness, such as major surgery, high fever, or a severe infection. In addition, after giving birth, some women may also have noticeable hair loss. Even stressful events, such as losing a parent or getting a divorce, may cause hair loss. This type of hair loss is best categorized as telogen effluvium, which is often temporary. In a few months after the stressful event has passed, patients will see their hair regrow. This cause of hair loss is contagious and most commonly found in children. It requires oral medications. Without effective treatment, ringworm may cause balding. If you have trichotillomania, this means that you repeatedly pull out your own hair. Patients often feel a sense of urgency to pull out their hair on their scalp, eyelashes, nose hairs, or eyebrows. Patients who have lost a significant amount of weight or tried fad diets (not enough protein in the diet, high intake of vitamin A, not getting enough iron, or endured a very restrictive caloric intake) may experience hair loss. Eating a healthy, balanced diet allows the body essential building blocks to grow hair. Certain medications, such as blood thinners, high doses of Vitamin A, birth control pills, and anabolic steroids, may cause hair loss. Treatments for cancer, like chemotherapy and radiation, can cause hair loss. Frequent blow-drying, straightening, bleaching, perming, improper use of dyes, gels, relaxers, and hair sprays may all cause the hair to break. In addition, certain hairstyles, such as a tight ponytail, brushing wet hair, or too frequent shampooing, can damage hair. We recommend limiting the use of these products and being as gentle as possible with your hair. The principal symptom of alopecia is balding. Hair generally falls out in little patches on the head. These spots are often a few centimeters or smaller in size. Hair loss may also happen on different areas of your body. You will initially find locks of hair on your bed sheets and pillows or in your shower drain. However, other kinds of health conditions may also cause your hair to fall out at a similar rate. Baldness alone should not be used to diagnose this condition. The balding that is common with alopecia is both inconsistent and arbitrary. The hair can grow back at any given time and then can drop out again. The level of hair loss and growth varies considerably from one person to another. For less severe alopecia instances, nonsurgical PRP treatment utilizes your own growth factors to stimulate the regrowth of follicles that are damaged. This is a shampoo with a vitamin complex of Tocopherol Nicotinate and Ruscus to revitalize thinning hair. This lotion has a combination of Vitamin B-3, amino acids, and botanicals to nourish your thinning hair and scalp. The ANACAPS Dietary Supplement, which includes biotin, is a complete treatment that will nourish and strengthen hair and nails from the inside out. PRP is a concentrate of your very own plasma protein and is obtained by collecting a sample of your blood and then centrifuging it so that the heavier components separate from the lighter components in the blood. As a result, plasma protein is separated from other components (such as red blood cells and white blood cells), making the remaining PRP the most effective. The growth factor in PRP stimulates hair growth. The hair follicle consists of stem cells and a number of other cells. When PRP is injected into the scalp, the platelets will incite these cells to grow, which stimulate the new and inactive hair follicles to enter into an active growth phase. PRP is a simple procedure. At the start, the scalp is numbed so that you will not feel any discomfort during the course of the treatment. After separating out the unnecessary components, the dermatologist will inject the PRP into the scalp. Soon after, you can leave our office to continue your daily life with no activity restrictions. Results vary from person to person, but it takes at least 5 – 6 months for results to be visible. Multiple injections at regular intervals of 6 – 8 weeks may be required in order to create a significant difference in hair loss. The treatments should be repeated every 3 – 4 months for consistent results. There are a number of supplements, hair oils, serums, and creams on the market that can help with the health of your hair but often provide minimal results. Fortunately, hair loss can be treated with the help of an experienced and knowledgeable dermatologist. To find out what hair loss therapies are right for you, please schedule your visit at The Gill Center with Dr. Anita Gill. Healthy hair gives off an overall impression of youthfulness and good health. Unfortunately, pollution, dust, unhealthy food habits, genetics, low iron levels, thyroid issues, stress, and hormonal imbalance have made hair loss a common problem. PRP treatment is sought out by many due to its natural rejuvenating nature. When concentrated plasma containing platelets is administered, your system will automatically act faster than normal and you can see your hair growing back again. You won’t have to deal with any scars or incisions like with other cosmetic procedures. PRP hair-restoration treatment is the simplest and most effective outpatient procedure to manage hair loss. You will get a longer-lasting result with PRP treatment, which is often not the case with other nonsurgical treatment methods. You don’t have to fear any form of contamination, as you will not be injected with any foreign chemical; it will be your own plasma that will be given to you. PRP treatments are not recommended for heavy smokers, alcoholics, and drug users, as they can cause a negative reaction in such individuals. What happens next if the treatments do not work? Surgical hair-transplantation procedures may be necessary if all of the minimally invasive procedures to control hair loss do not work. 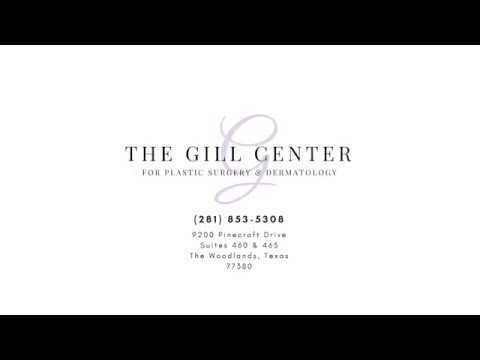 We can discuss your options in further detail in a private consultation at The Gill Center for Plastic Surgery and Dermatology. At The Gill Center for Plastic Surgery and Dermatology, we know the frustration, confusion, and embarrassment that can accompany sudden baldness. We've made it our goal to not just improve your appearance but to help you recognize why you're losing your hair and what we can do to possibly prevent further hair loss. If you're prepared to get answers and begin your journey toward a thick head of hair, contact us in The Woodlands, TX right away to schedule your visit. We are excited to meet with you!